Category: Excursions, Excursions in St Petersburg. 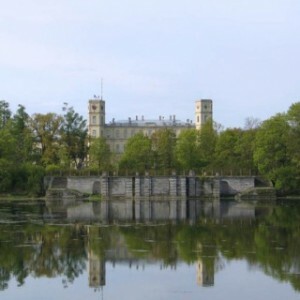 Gatchina is one of the magnificent Imperial estates surrounding St Petersburg. 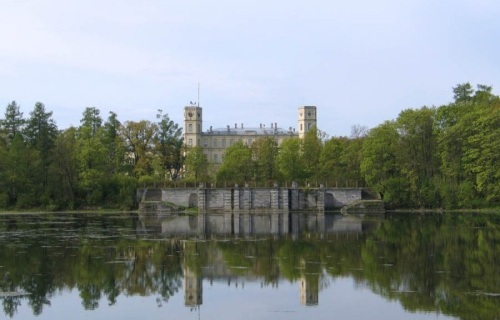 Gatchina, located 45 kilometers from Saint Petersburg, is included in the ‘brilliant’ ring of the historic parks around the former imperial capital. Although the place was first mentioned when Peter the Great bought it for his sister Natalya Alexeyevna, the major construction started there at the time when it was owned by Catherine the Great’s favorite Count Orlov. A sombre castle with six hundred rooms was created by a famous architect of the time Antonio Rinaldi and an extensive English landscape park was laid out around it. Since the times of Paul I it was one of the favorite residences of the Russian tsars, while the last Russian tsar’s father made it his permanent residence. The palace has always looked unusual to Russian viewers that often said that it was built “in the English castle style”. The building has ten towers and an underground passage. The Interiors of the palace are refined and majestic. The palace is surrounded with wonderful and extensive parks. Some nice pavilions can be visited during summer time.